Science fiction authors have been writing about it for decades. Privacy activists have warned it’s just around the corner. Today, perfected facial recognition is one step closer to becoming a reality. UK authorities landed their first arrest last week relying on an automatic facial recognition (AFR) system, the South Wales Police confirmed to Ars Technica on Tuesday. Not much is known presently about the man or the crime he allegedly committed, but his face is presumed to be one of about 500,000 contained in a law enforcement database. In other words, the aim of deploying AFR is as much about catching perpetrators as it is predicting and preventing crime—the theory being that if a potential offender is aware that his face has already been recognized, he’ll be far less likely to engage in an offense against the law. 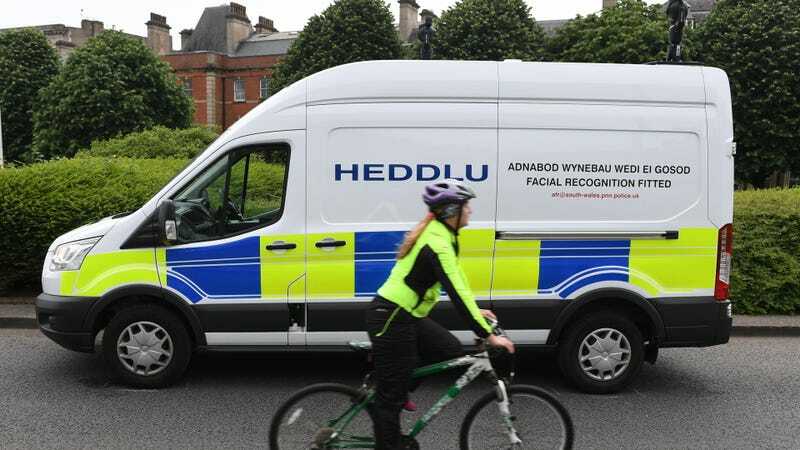 The camera that captured the man’s face in South Wales was reportedly mounted atop of a police van deployed ahead of the UEFA Champions League final. Police declined to reveal more about the offense involved, Ars said, likely because the case is ongoing. Facial recognition is a technology that could one day alert authorities to the presence of a potential terrorist like Youssef Zaghba, who, despite being on a watchlist in Italy, was able to ram a van into pedestrians on London Bridge last weekend before launching into a stabbing spree at the nearby Borough Market. But it is also a frightening technology, even among a people obsessed with cameras. And the advent of police-worn surveillance gear, which could be linked to these systems one day, there’s the potential for citizens, even those not suspected of any crimes, to be monitored wherever they go. Due to the level of secrecy surrounding digital surveillance and the police databases that power it, it may be impossible to detect abuses when they occur—and, undoubtedly, they will occur. Once we’re all tagged with our every movement tracked, there may be no coming back from that dystopian nightmare. Privacy could become a thing we remember fondly but never fully achieve again.